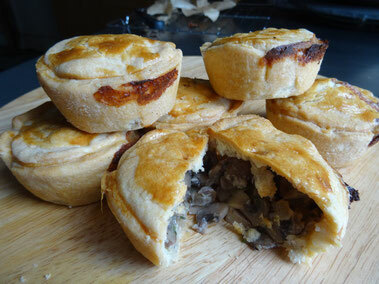 These delicious little pies make a great snack but you could also serve them at a party or pack them up for a picnic! Fry the onion in a the butter & a little oil for 5 minutes. 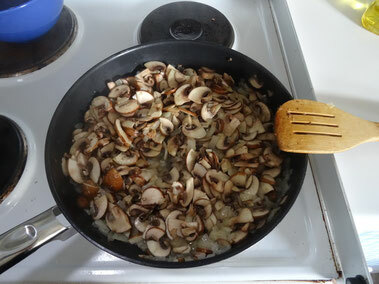 Stir in the mushrooms & cook for another few minutes then add the parsley & some salt & pepper then the cream. Stir well, simmer for about 5 minutes more then remove from the heat. 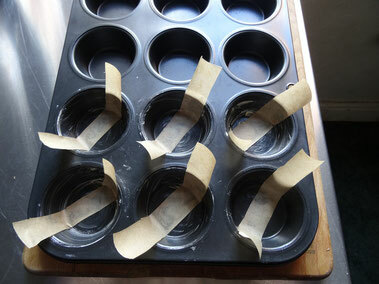 Grease 6 holes of a muffin tin & line each one with a long thin strip of greaseproof paper. Lay out the pastry & roll it out a little thinner. 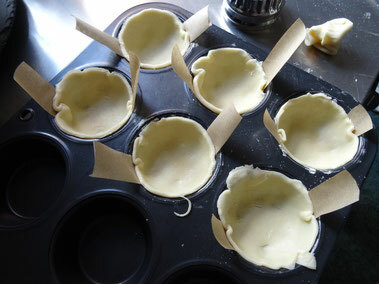 Cut 6x10cm circles & press one into each hole of the tin, then cut out 6x8cm circles for the lids. Divide the mixture between the pastry cases. 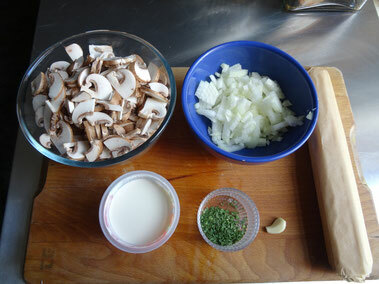 Brush the edges with egg & place the lids on pressing down the edges to seal. Brush the tops with egg & make a small hole in the top of each with the tip of a knife. You can make these a day in advance, keep them airtight & reheat before serving or serve them cold!